CM Group, a family of marketing technology companies including Campaign Monitor, Delivra and Emma, has acquired Sailthru and Liveclicker. 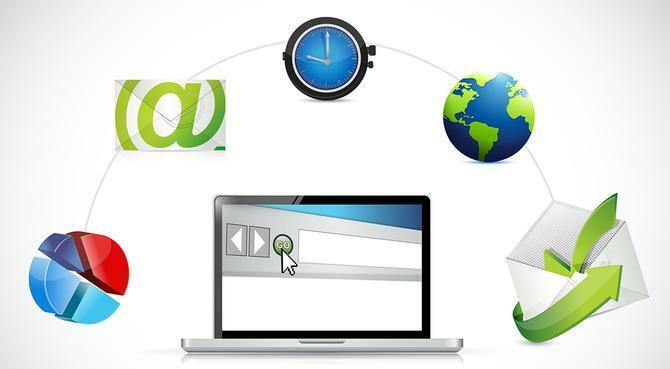 Sailthru is a cross-channel experience management platform, while Liveclicker provides real-time email personalisation solutions for marketers. The acquisitions are aimed at bringing easy-to-use and scalable enterprise solutions into CM Group. Financial terms were not disclosed but the deals add nearly US$60 million in revenue and 540 new customers, including Bloomberg, Samsung and Fashion Nova. “Sailthru and Liveclicker are extraordinary technologies capable of solving important marketing problems, and we will be making additional investments in the businesses to further accelerate their growth," CM Group CEO, Wellford Dillard, said. Campaign Monitor is an Australian marketing solution founded in 2006 and a flagship offering within the CM Group. A $348 million stake in the business was sold in 2016, making it one of the largest investments in an Australian tech startup at the time. Godard Abel has led a US$10 million seed round investment in ThreeKit, a 3D product configuration and visualisation platform, to help the company further meet the demands of brands for more interactive and personalised e-commerce experiences. The investment will fund talent acquisition, and product and business development for the growing company. After creating 3D visualisation technology for the special effects used in Hollywood, ThreeKit has been working with brands to use this same technology to try to revolutionise the online experience. Now, it will leverage its expertise to give brands the ability to differentiate customer experiences through next-generation 3D product visualisation, virtual photography, and augmented reality (AR). Mapp has repositioned itself as a digital marketing platform for companies, with the launch of MappCloud and a relaunch of BlueHornet eMS. Mapp Cloud aims to help marketers run smarter campaigns that draw from unified customer data from one platform. In 2018, Mapp transformed its data architecture into a customer data platform (CDP) to enable such data-driven marketing. Mapp also relaunched its BlueHornet eMS product as Mapp Empower,for white-label, multi-tenant capabilities and self-service deployment. "We are taking a bold stance and telling marketers that they need to break away from the pack with respect to marketing technology. Blindly following the crowd when making a marketing technology decision is a mistake, as you might end up with a huge, overpriced marketing cloud or multiple point solutions that need to be hacked together. Mapp helps mid-enterprise marketers build cross-channel campaigns for acquisition and engagement - without costing a fortune," said Matt CEO, Steve Warren. BigCommerce has integrated it cloud ecommerce platform with AdRoll, helping merchants reach consumers shopping online. BigCommerce’s partnership with AdRoll aims to enable merchants to generate dynamic ads aligned to their customers’ journeys and path to purchase. Merchants can use AdRoll to recommend products through online ads and ad retargeting, promote their eCommerce stores across multiple channels, and increase customer discovery and segmentation. Adobe has introduced innovations in Adobe Experience Cloud aimed at helping retailers improve customer experience management across physical and digital storefronts. The new capabilities are based on its artificial intelligence (AI platform), Adobe Sensei, and include Virtual analyst in Adobe Analytics, which leverages AI to scour retailers’ data and prioritises changes to improve the customer experience. The new Progressive Web Applications (PWAs) Studio in Magento Commerce Cloud also enables merchants and developers to build online stores with fast, engaging app-like experiences. Adobe acquired Magento in May 2018. Improvements to Adobe Advertising Cloud Creative are designed to enable rapid rollout of new offers and designs without re-trafficking or starting the design process over from scratch. The platform also features native integrations with Adobe Creative Cloud and Adobe Analytics Cloud to enable retailers to more easily personalise ads based on a potential customer’s shopping behaviour, loyalty program status and more. Also, new Adobe Sensei-powered capabilities enable retailers to manage, optimise and report on search ad campaigns specifically for retail promotions and events. For example, Adobe Sensei in Experience Manager automatically searches a retailer’s entire inventory online and serves up clothing similar to the photo. AI has also been extended into Adobe Target, allowing users to automatically choose the best algorithm to deliver personalised recommendations to each of its audience segments. Alongside this, Magento has announced the general release of Progressive Web Applications (PWA), a suite of tools for building online stores with app-like experiences that help merchants solve the mobile conversion dilemma and deliver personalised cross-channel experiences. PWAs claim to deliver fast and slick ‘app-like’ experiences in the mobile web browser, allowing retailers to tackle multiple challenges at once, including faster Browsing, instant “App” gratification eliminating the need to download or install an app before use, push notifications, rapid re-engagement, and a native “app-like” look and feel. PWAs enable functionality such as push notifications and location to be built into the architecture of the website, levelling the playing field for all brands to deliver highly personalised cross-channel experiences at the right time, all at a fraction the cost of a mobile app. Looking forward, Magento said PWAs have the potential to replace legacy point-of-sale systems and retail associate platforms providing a fast, efficient and cost-effective way for store associates to locate product online and in-store, provide self-checkout, service returns and save the sale and more directly from an employee’s smartphone. Local Measure, a customer experience platform, has debuted an integration with Snap. Utilising Snap’s Story Kit software, brands will be able to surface publicly shared Snapchat content from Snap Map and display it in real time on Cisco digital signage, building on-site engagement with customers. Local Measure’s integration of Snap’s Story Kit aims to allow brands to: Enhance their digital presence in-store/on-premise by showcasing the Snaps publicly, engage customers during visit and encourage them to share the experience on Snapchat, and generate on-site word of mouth by amplifying social stories. B2B enterprise customer data platform, Radius, has taken the wrappers off Data for Good, a program that helps both employees and customers give back to their communities. When for-profit customers use Radius to support philanthropic and social causes, Radius will credit-back their account in full for any data used, in effect lowering the cost for customers to pursue important causes. In addition, Radius will donate its service to nonprofits, enabling these organisations to tap into a wealth of business data that can be used to enhance corporate outreach and pursue their charitable missions. Data for Good also extends to a donation commitment for nonprofits with data-oriented missions. When Radius customers use data to support the community, Radius will make a donation to either Girls Who Code, who work to close the gender gap in technology, or MissionBit, who strive to eliminate the tech divide for youth and adults living in the San Francisco Bay Area. SAP SE announced the availability of SAP Crowd Service, a solution that aims to enable companies to establish a marketplace for external specialists, certified partners and freelancers. Using the crowd service tool, organisations can extend their own workforce to respond in real time to service requests. Embedded artificial intelligence capabilities help to analyse each request and then assign it to the appropriate technicians based on their expertise, location, and availability. SAP Crowd Service helps customers build their own ecosystem of experts and technicians, enabling them to increase geographical coverage and provide faster service to the field. This shortens waiting periods and keeps downtimes to a minimum for end customers. Service requests that are entered into the marketplace are immediately relayed through a mobile app as job notifications to participating technicians. Manthan, an AI and analytics company, has upgraded its cross-channel campaign management and personalisation solution, TargetOne. With improvements to journey builder, marketers can: Design distinct journeys for predictive customer segments; create and respond to complex cross-channel customer events; test and experiment with different responses, timings and channel combinations; minimise app attrition; and engage customers. With the new AI augmented features, Manthan’s marketing suite also aims to deliver contextual intelligence in both scheduled campaigns and customer event-based marketing. CX and journey analytics SaaS provider, inQuba, has been selected by Endeavor Entrepreneurs, the New York-based organisation supporting high-impact entrepreneurs around the globe. Endeavor Entrepreneurs gets access to a number of services from Endeavor including introductions to local and global business mentors, access to growth funding and volunteers from Fortune 500 consulting firms. Selection takes place following a multi-step process where candidates businesses’ are evaluated on their potential for high impact growth.